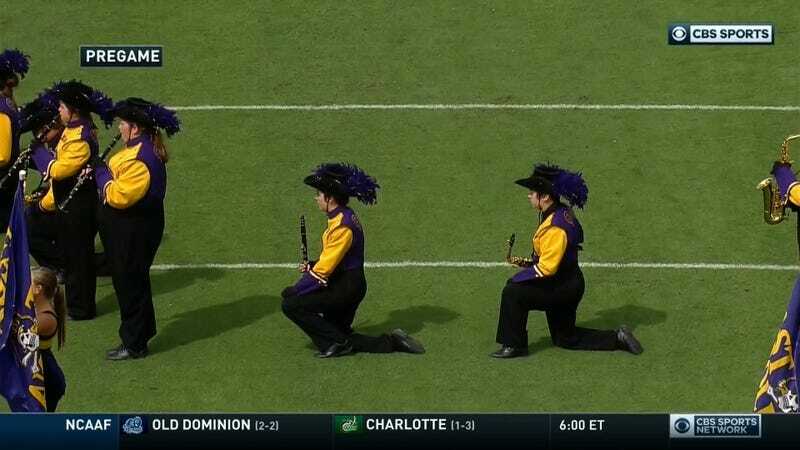 Several members of the East Carolina marching band knelt during the national anthem, and a number of fans did not take kindly to it. In the past two weeks, band members at Southern Methodist and the University of North Carolina have also knelt in protest during the anthem. Later Saturday afternoon, members of North Carolina State’s band protested in the same fashion.